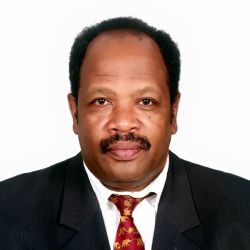 Mr John is a well-seasoned conservationist loaded with forty years of management of Natural Resources in Eastern Africa and to a limited extent beyond. This is in connection with Forestry, Biodiversity, Biofuels, Climate change, Wildlife, Aquaculture (incl. wetlands), Bird habitats and community participation in environmentally sound practices. He has a Master of Science in Forest Management obtained from Australian National University Hi experience is built on successful interventions with Government and relevant stakeholders (at national, regional and International), addressing set priorities and agreed interventions with focused deliverable. John’s experience is well vested on innovative and adaptive successful ventures that have been replicated for better conservation in the region. Mr John is Executive director of Environment Associate in Tanzania. He is Chairman of Tanzania Forest Conservation Group (TFCG) since 2011 and also Chairman of Nature Tanzania (NaT) since 2017. John’s hobbies include traveling/tourism, comedies and public addressing.